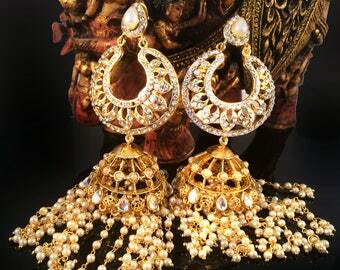 If traditional Jhumka Earrings is what you love then enjoy this new beauty that I just designed in my New Collection. 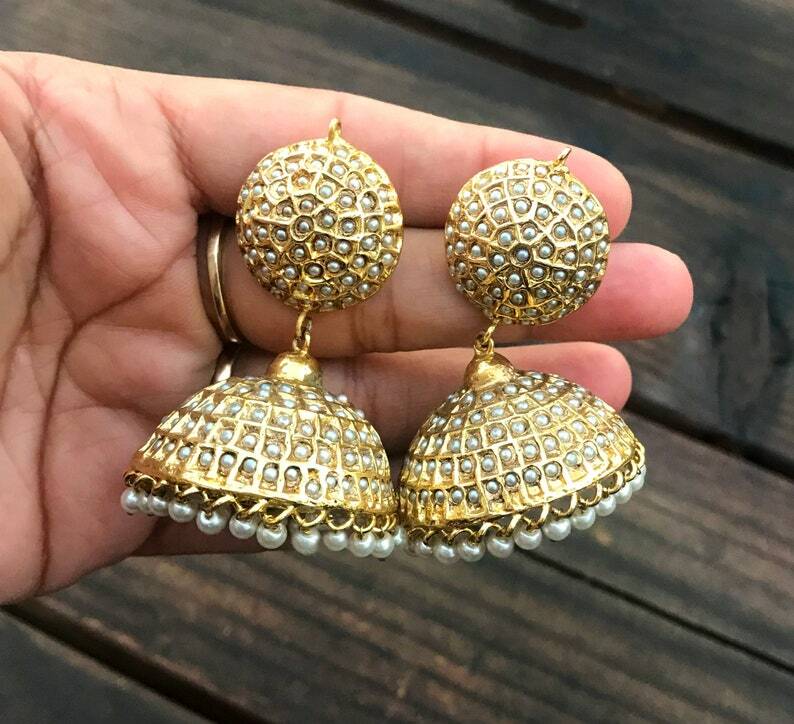 Made with a sterling silver and the gold plated the post is hypoallergenic. 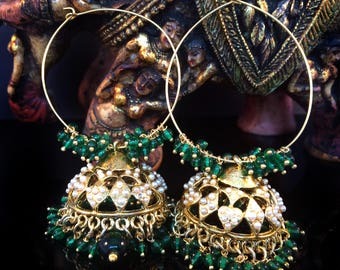 The jhumki is embellished with real Freshwater Pearls . 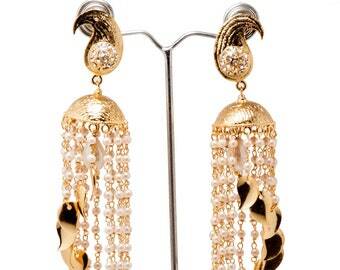 The pearl drops are freshwater pearl. A favorite in the fashion circuits. Enjoy this piece to your hearts content.